One of the joys of hand-blown glass is the one-of-a-kind result. Our decorative Maydan Bowl is a fluid expression of this distinctive art. 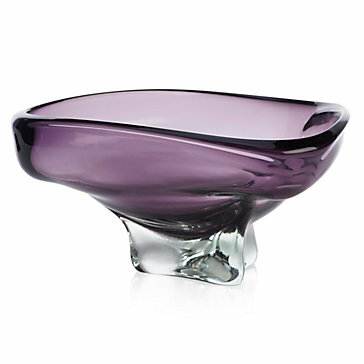 Our artisans designed this bowl with the sea in mind, engaging the eye to delve into its Amethyst depths.